Pure Pursuit: Got Raw Milk? Why drink raw milk? Before I answer that, let me give you a little background on my family and how we came to love and advocate the use of raw dairy products. My family has underwent several crucial dietary changes in the last few years. We ditched grains, vegetable oils, refined sugars, and all processed foods. Among these life changing nutritional choices we've made, one of the most impactful has to be our switch to raw dairy products. As far as milk goes, my family has definitely rode the dairy roller coaster. We've drank everything from whole, skim, to 2%, and organic. After the birth of my boys, I made the switch to organic milk, thinking I was doing my family a great service by providing them with a superior product. It wasn't until we began our real food journey and embraced a traditional foods diet did I learn how misguided I had been. When I first was introduced to raw milk I admit I had mixed feelings. I was convinced of it's many health benefits, but I was also a little weary of consuming unpasteurized milk. Let's be honest, we have been taught that milk has to be pasteurized in order to kill off any pathogens that might be living in it. Did I really trust this stuff enough to feed it to my young children? This was uncharted territory for me. Untested waters. I was truly living on the edge. Or was I? It is true that milk contains harmful pathogens It is also true that these bacteria can make you very sick. But these are the things found in pasteurized milk produced from cows housed in unsanitary CAFO's, or concentrated animal factory operations. Also known as every jug of pasteurized milk crowding the shelves of every supermarket in this country. This milk has to be pasteurized in order to kill off these bad bugs which have been shown to be present in almost every jug of milk that makes it into your cereal bowl. The reason pasteurized milk is so contaminated is a combination of the filthy living conditions of the animals and the feed they are given. Cows are fed an array of disturbing things they are not designed to eat. These "foods" include same species meat,(yes animal feed can legally contain rendered cow parts, which is where mad cow disease originated from), road kill, euthanized cats and dogs, GMO soy, cottonseed and other grains, manure and other animal waste, plastic pellets instead of plant roughage, and rendered feather, hooves, blood, and intestines can also be found in feed allowed under the catch-all phrase "animal protein products." Can they survive on a diet as disgusting as this? Sure, but are they thriving? Of course not. Much like a person living on a diet of highly processed food suffers from obesity, diabetes, and other health related diseases. The need for antibiotics is high with these animals because their living conditions and feed makes them especially susceptible to disease. 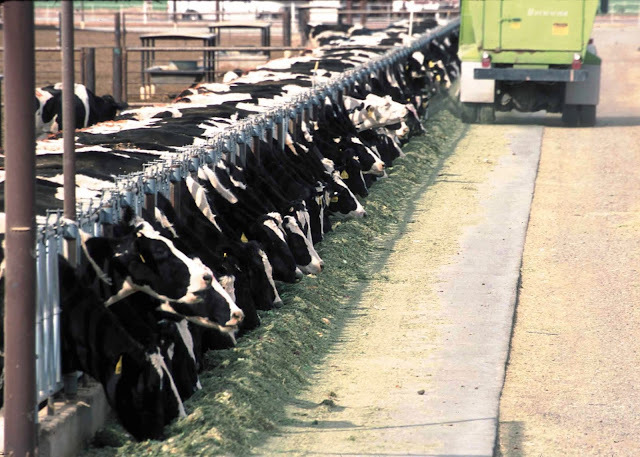 In addition to the foul feed they are given, cows living in CAFO's have zero access to pasture, stand in piles of manure all day, and are housed in concrete and steel environments. Consequently cows living in these conditions and eating this type of feed have very short life spans. You can watch a video documenting the filthy living conditions of CAFO cows here. It is no surprise the composition of the milk coming from cows in these conditions differs significantly from that of raw milk from grass fed cows. These foods may share the same name "milk", but that is where their similarities end. So what exactly is pasteurized milk? Pasteurized milk is a chemically processed food that contains additives, preservatives, antibiotics, alarming levels of pus and mucus, is devoid of enzymes (which is why it causes so many digestive issues), has zero CLA values, contains no beneficial bacteria, and this despicable list goes on and on. It is not only pasteurized, but irradiated and homogenized as well. Pasteurization is a treatment that enhances the flavor and preserves already bad tasting milk. Basically, the milk you buy in the store is putrid from the start and has to undergo pasteurization to make it suitable to drink! It has been so heavily processed to the point that the milk turns blue. Have you ever noticed a blue tinge to milk, especially non-fat? To rectify this, large amounts of dolomite are added to return the milk to it's appealing creamy white color. Pasteurized milk also undergoes a process called irradiation, which exposes the milk to destructive light such as high intensity ultraviolet or radioactive contamination. And just to add insult to injury, pasteurized milk finally gets homogenized. Homogenization is just a fancy term for subjecting the milk fat to high pressure that forces the fat molecules to rupture and turn rancid. It is this process that keeps the cream from separating from the milk so that it will not sour and to keep the milk looking even. Whew! Sounds more like a chemistry experiment that the health beverage the dairy conglomerates want us to believe! While there is a myriad of detriments associated with consuming pasteurized milk, one of the most alarming was my findings on the so-called Vitamin A and D that all pasteurized milk is enriched with. I warn you, it is not at all what you think it is. The vitamins added to milk actually "contains vitamin A palmitate, Vitamin D.sub.3 resin, ester gum and/or brominated vegetable oil, corn oil, polysorbate 80, and triglycerol monooleate. The preparation is added to the milk product any time during processing and remains dispersed in the milk phase during centrifugal separation. The preparation is concentrated, resists oxidation, and does not require refrigeration." Philip F. Dressel; Larry D. Ellis; Cornelis A. Van Deuketom. Vitamin A and D additive for milk products. US Patent No.5480661, May 23, 1994. Say what? You mean to tell me it's not simply Vitamin A and D? And if you skimmed over that citation at the end, I obtained this information from the actual US Patent for "Vitamin A and D additive for milk products!" I find it appalling and frightening that the FDA is allowed to blatantly lie to the American people. We deserve to be told the truth about the foods we put into our bodies. Problem is, the big corporations know that if we are made privy to all of their dirty little secrets, they would lose a lot of business. Our dollars would be spent elsewhere, on products that provide the health benefits we desire. Armed with the disgusting truth about pasteurized milk, my family made the switch to raw dairy and have never looked back. Okay, so pasteurized milk is a denatured, filthy product. We get that. But what is so special about raw milk? When you think about it, all mammals, including us humans , have survived because raw milk contains multiple, bioactive components that reduce pathogens while at the same time strengthening the immune system of the infant. Nature has provided this in every form of raw milk, from breast milk to cow's milk to protect babies vulnerable digestive systems from the onslaught of bad bacteria that is out there. Raw milk, in every form, literally is Nature's perfect food, otherwise how would an infant be able to survive solely on it? Raw milk is made up of several important parts. Raw milk contains all 20 standard amino acids, which saves our bodies the work of having to convert any to usable form. This means they are bio-available, our body can use them easily and readily. The immunoglobulins in milk are an extremely complex class of proteins also known as antibodies. These provide resistance to many viruses, bacterial toxins, and are responsible for reducing the severity of asthma symptoms. About two thirds of the fat in whole raw milk is saturated fat. If you haven't yet jumped on the saturated fat bandwagon, you can read my post about the benefits of them here. Saturated fats play an integral role in every function of our body. 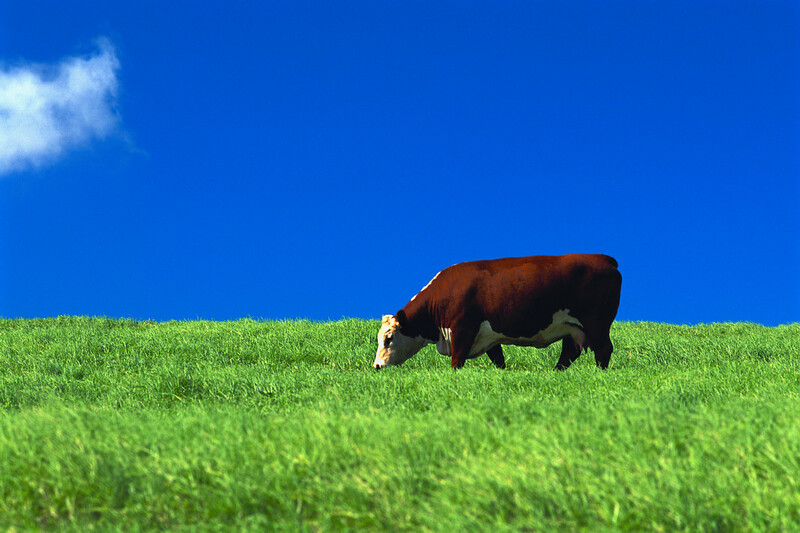 One of the fatty acids prevalent in raw milk from grass fed cows is CLA, or conjugated linoleic acid. CLA, known as the fat-burning fat, has been shown to preform a number of amazing feats such as, raising metabolism, boosting muscle growth, reducing resistance to insulin, strengthening the immune system, lowering food allergies, helping to remove abdominal fat, and offer protection from cancer! Pretty impressive stuff if you ask me. Whole raw milk contains both water and fat soluble vitamins. No enriching necessary. It truly is a complete food. It is particularly rich in the fat soluble vitamins A, K, and E. Raw milk contains up to 50% more vitamin E than pasteurized milk. 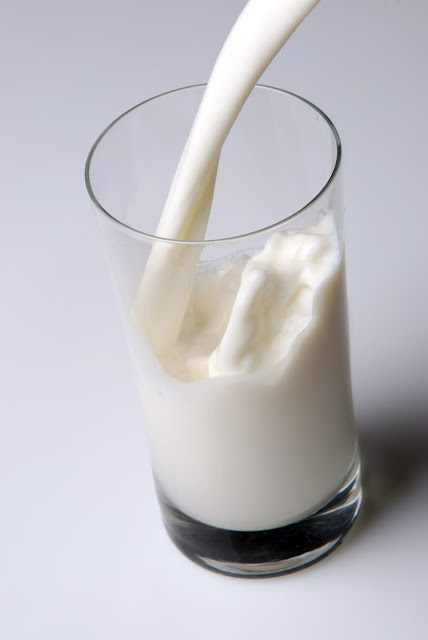 Raw milk is also rich in water-soluble vitamins like vitamin C and B-complex vitamins. Vitamin C is non-existent in pasteurized milk, yet occurs naturally in fresh, raw milk. Vitamins, like enzymes, are extremely fragile and are easily destroyed by heat. Consequently, pasteurized milk must be fortified with vitamins; synthetic, laboratory formulated, chemical laden versions of naturally occurring vitamins. Synthetic vitamins are in large, not recognized by our bodies, and therefore are not assimilated into the bloodstream like their natural counterparts. In addition to this, as you learned earlier, the vitamins added to pasteurized milk are not what they appear to be. Raw milk contains a wide array of minerals ranging from calcium to phosphorus as well as many trace elements. Minerals are interesting molecules, they must be combined in specific conjunctions in order for them to properly function. For example, calcium needs a specific ratio of phosphorus and magnesium in order for our bodies to utilize it. The minerals present in raw milk are in perfect balance. Raw milk contains 60 functional enzymes, all of which perform an assortment of jobs in our bodies, ranging from aiding in better digestion to destroying harmful pathogens. Some of these enzymes are inherent in raw milk and some come from the beneficial bacteria present in the milk. It is these enzymes that help our body digest and break down the fats and sugars present in milk and help to better metabolize its nutrients as well. When we eat food that contains enzymes devoted to its own digestion, it means less work for our pancreas. These enzymes, namely amylase and lactate, are the reason raw milk is usually tolerated by most people, whereas pasteurized milk which is devoid of enzymes, causes so many reactions in people with food intolerance's. Another important enzyme, lacto-peroxidase, houses anti-microbial properties, and uses small amounts of free radicals to seek out and destroy harmful pathogens. Enzymes are very delicate and heat sensitive, which is why they are not present in pasteurized milk. Raw milk is a living food and abundant in beneficial bacteria. Probiotics have a built in protective system that keep pathogens at bay all while strengthening the immune system, building and maintaining a healthy gut flora, and ensuring assimilation of nutrients. As beneficial bacteria proliferates in raw milk, the digestibility of vitamins, minerals, and enzymes all increase. I mentioned the enzyme lacto-peroxidase above, and it is worth mentioning again. This particular enzyme is so anti-microbial that the FDA has approved it's use in combating E. Coli contamination in the meat industry! So powerful is the anti-microbial system in raw milk that when large quantities of pathogens are added to it, their numbers diminish over time and eventually disappear! For these very reasons, (contrary to what Big Dairy will have you believe) the risk of illness from consuming fresh, raw milk from grass fed cows is very low, especially compared to other foods- amounting to only one percent of all food borne illnesses. A recent government study showed that deli meats were ten times more likely to cause food borne illness that raw dairy products. It is clear to see that raw milk trumps pasteurized milk on every possible level, from nutrition, to production practices and safety. I hope I have compelled you to discover the amazing benefits of raw milk for yourself!